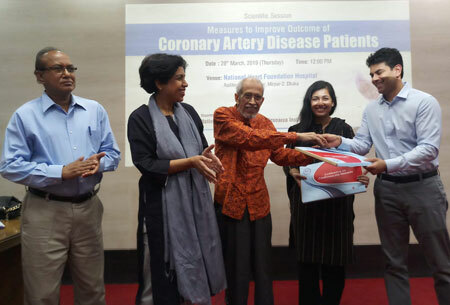 A scientific seminar on ‘Measures to Improve Outcome of Coronary Artery Diseases Patients’ was held on 28 March 2019, Thursday at NHFH&RI. National Professor Brig. (Rtd.) 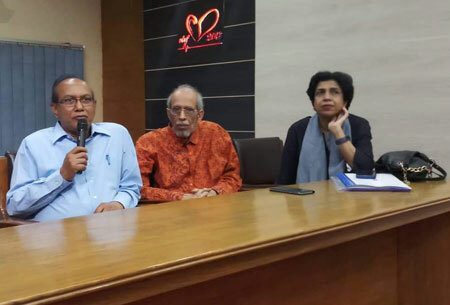 Abdul Malik, Professor Khondker Abdul Awal (Rizvi) and Professor Fazila-Tun-Nesa Malik presided over the session. 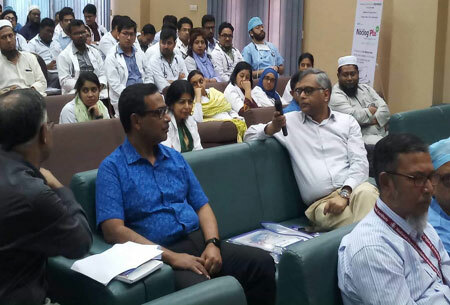 Two topics were presented in the CME. 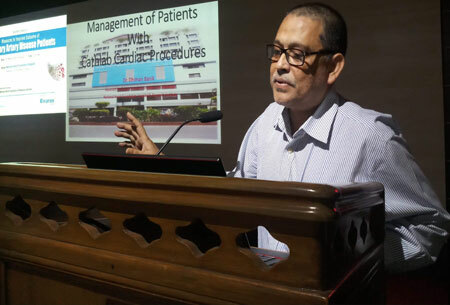 Dr. Dhiman Banik, Associate Professor and Senior Consultant Cardiologist, National Heart Foundation Hospital and Research Institute also presented the topic ‘Management of Patients with Cardiac Procedures’. 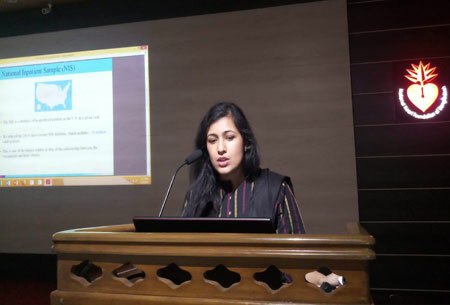 Dr. Mariam Khandaker, 3rd year Resident, Icahn School of Medicine at Mount Sinai St. Luke’s and Mount Sinai West, New York, USA delivered the lecture on ‘Influenza Vaccination and Prevalence of Myocardial Infarction’. 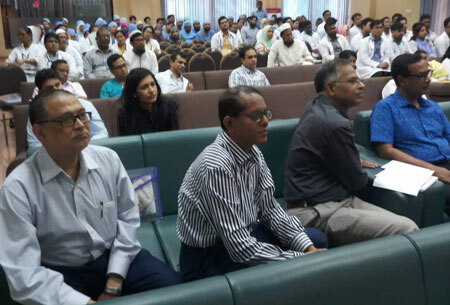 About 150 participants attended at the seminar.